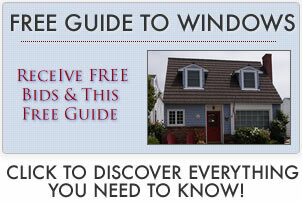 Picture window prices range from $250 to $2500 and more – this is for both the windows and contractor installation. We provide both a general picture windows price range, as well as actual real life examples of what customers paid for their picture windows. Entry level pricing usually involves a less expensive frame material such as a composite or a vinyl window frame. The window glass may be a single or double pane and use a relatively simple low-e glass, with or without fills. It will probably be a standard or stock size. Standard pricing may involve a better frame such as a fiberglass, composite or uPVC windows. The glass package well be upgraded and may include an argon or krypton fill. Mid range pricing will probably involve a larger window or could involve several panes mulled together. High end pricing will be a wood windows, wood clad, steel or other high end framing material. The glass package may involve some of the following energy efficient features; double/triple pane glass, argon or krypton fills, foam insulation, super spacers and uv coatings. The picture window will be large in size or involve several windows that are put together in a fairly complex way. 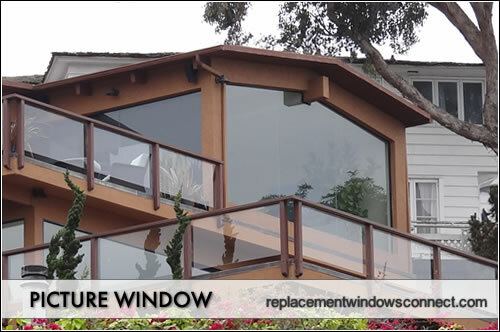 Window install pricing will run from $50 to $1500 per window. Simple inserts or replacements which are swapped into the existing opening are going to run $50 each. Picture window setups can involve lots of custom work that involves time, skill and precision work. This is where the prices can hit the $1500 mark. This includes the product, materials and installation. Take a look at the Soft-Lite Bainbridge, Sunrise Essentials or Okna 400. This includes the product, materials and installation. We would suggest a mid to high end Gorell, HiMark or Sunrise. This includes all product and contractor installation. Andersen and Pella are probably the most obvious choice here, but we would advise consumers to take a look at the Marvin Ultimate (wood clad) or Infinity (fiberglass with an Everwood interior).